Give connections as per the circuit diagram in above figure. Vary the voltage across the voltmeter so that it reads a rounded position, say 5 volts. 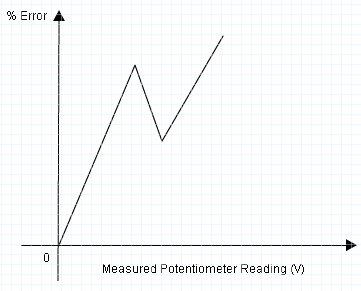 Measure the voltage across the voltmeter by potentiometer and tally the voltmeter indication and potentiometer reading. Connections should always be made with due care of polarity. For measuring higher voltages better use a volt ratio box. Standardize the potentiometer at regular intervals during prolonged tests to compensate it from any slight drift in the battery voltage.